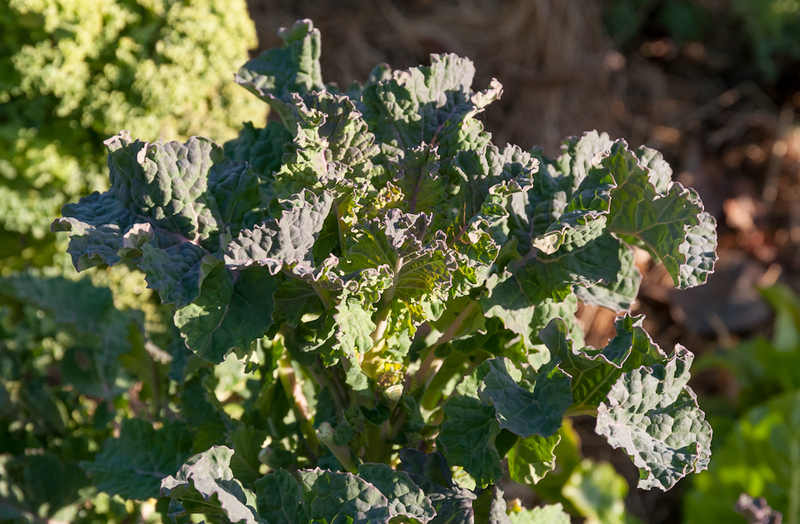 As March begins, there are still some tasty roots, leeks and Brussels sprouts in the winter kitchen garden, but instead of harvesting these reliable winter vegetables I’m drawn to the new growth on kale and the delicious salads it offers. These new leaves are a lighter green and have a less coarse texture than the darker leaves that have survived winter cold. 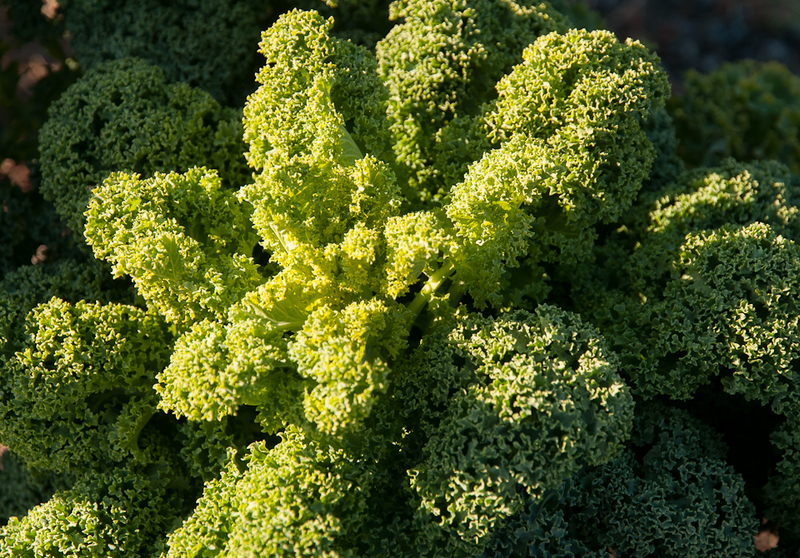 They are perfect for raw kale salads. 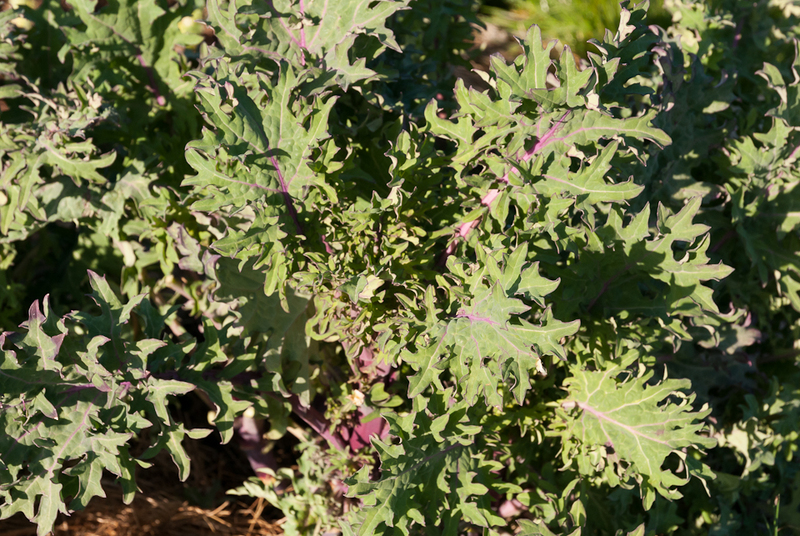 Of course, raw kale makes a great salad throughout the winter months, but these new leaves have a tender taste of spring. 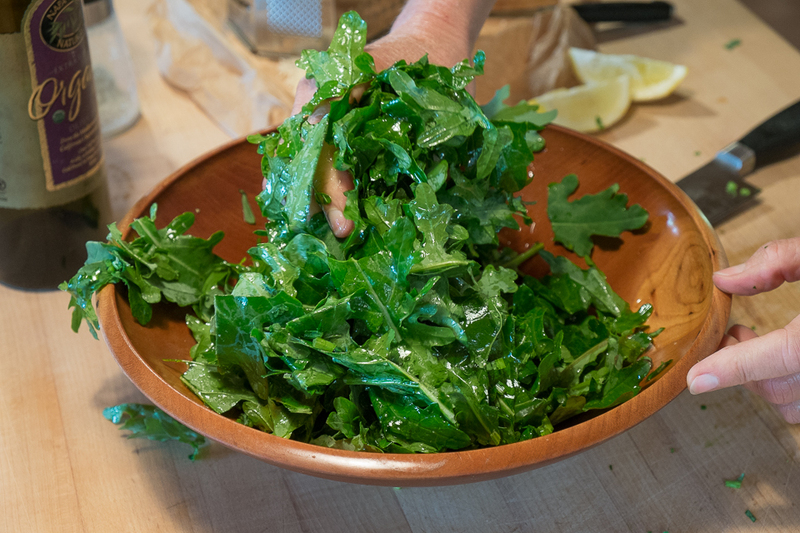 I prepare the leaves the same way I prepare a winter kale salad: tearing them into small pieces, rubbing them with olive oil and salt and letting them rest for ten minutes or so before adding more flavors and textures. Sometimes I’ll add just a little vinegar or lemon juice and enjoy a very simple salad. 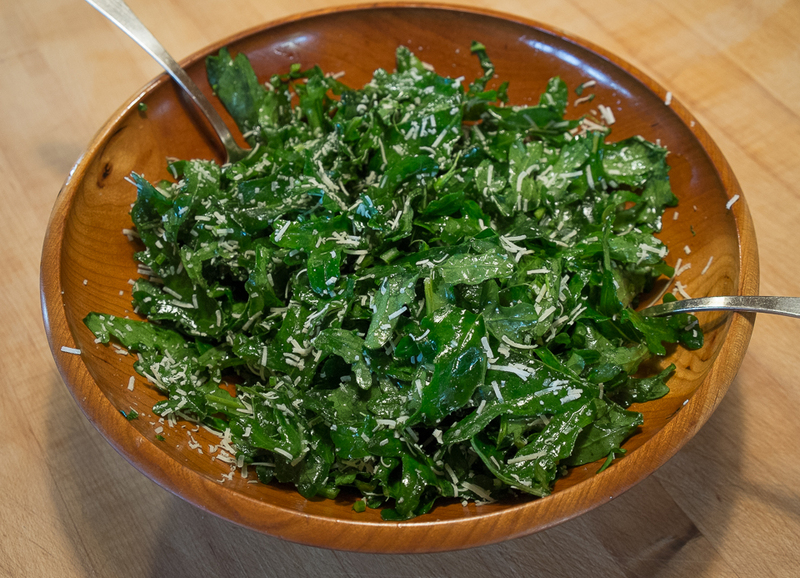 Other times, I’ll match kale’s distinctive flavor with other assertive flavors like feta or Pecorino Romano cheese, olives, pickled onions, oranges or grapefruit. 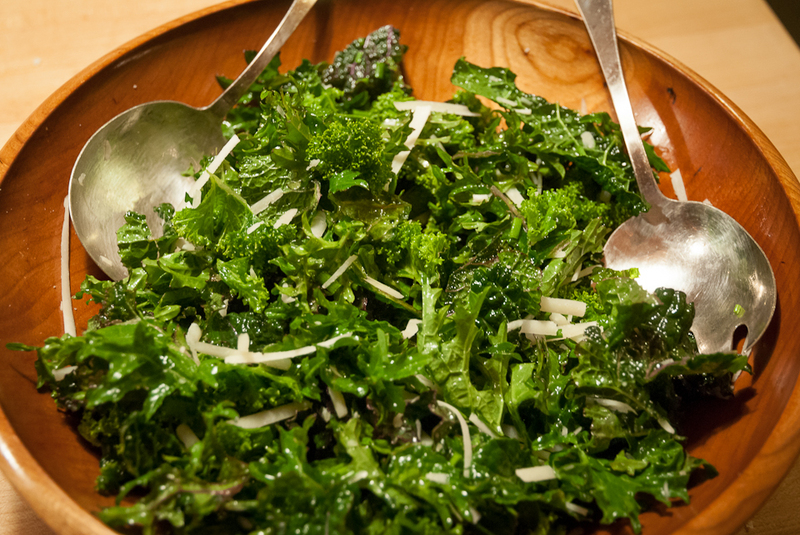 Toasted breadcrumbs or croutons and a pungent Caesar salad dressing take kale salad in yet another delicious direction. 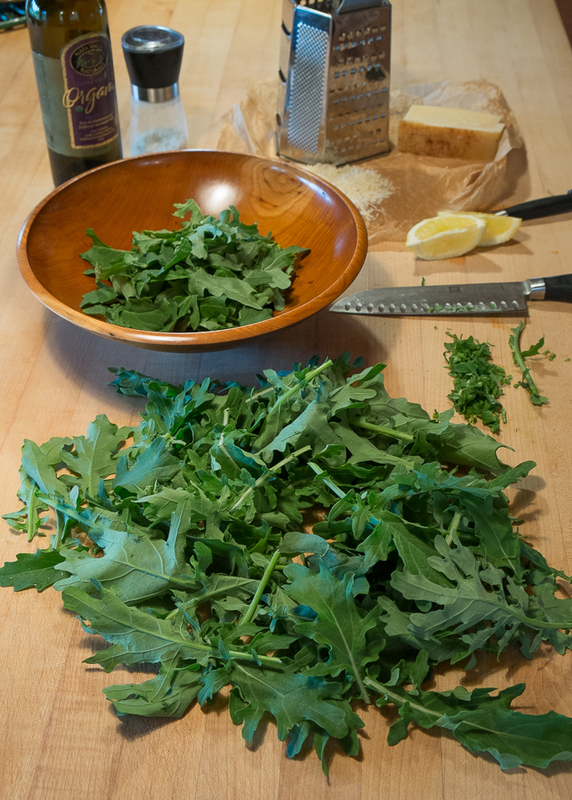 Last night, I made a very simple salad with new growth from all my kale varieties—Red Russian, Lacinato, Rainbow Lacinato and Winterbor—finely snipped new chive spears, grated Pecorino Romano cheese and lemon juice. It was as much a treat as next month’s spring lettuce salads will be. 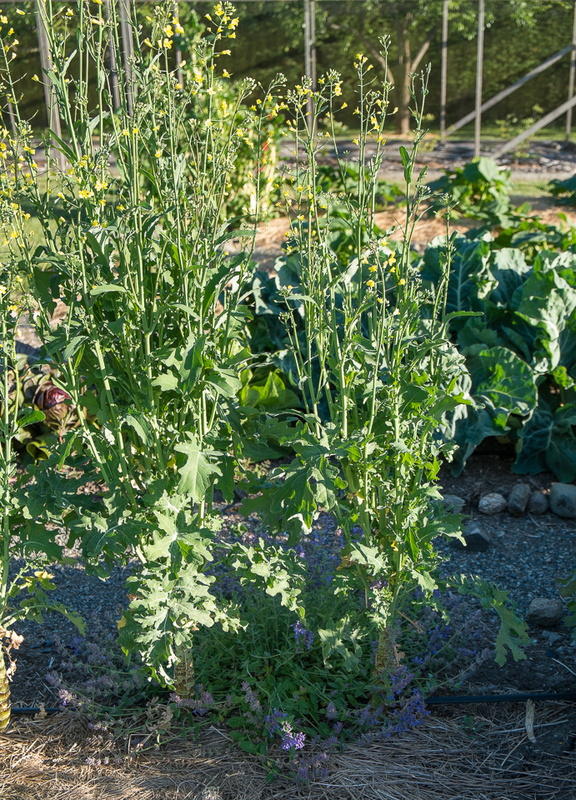 We’ll enjoy these new growth kale leaves for another few weeks before broccoli-like seed heads rise above them to provide yet another treat from this versatile winter vegetable. 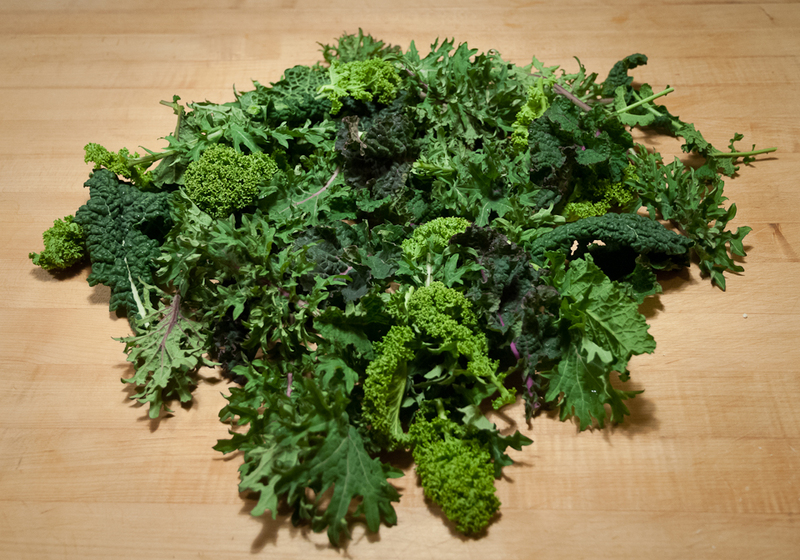 Check back soon for kale seed head recipes!